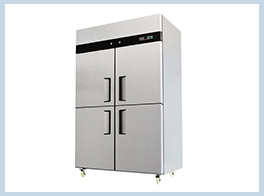 The offered Refrigeration are manufactured with the help of CNC machineries to provide an innovative and attractive appearance. It also provides a low consmption of electrical energy thereby saving your economic costs. GN Pan accomodation with Adjustable Shelves.